There are many reasons why Florence is a city on every traveller’s bucket list, and food is one of the main ones. 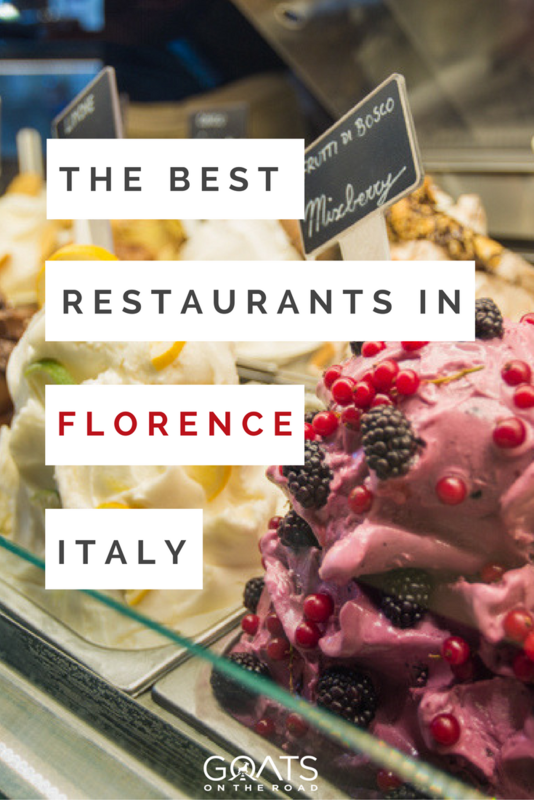 There are many places that could be listed as the “best restaurants in Florence”, as the food in the city is just soo good! There are some incredible places to visit in Italy, and I have personally experienced that no matter where you decide to go, food naturally plays an important role during your visit – Florence is no exception. 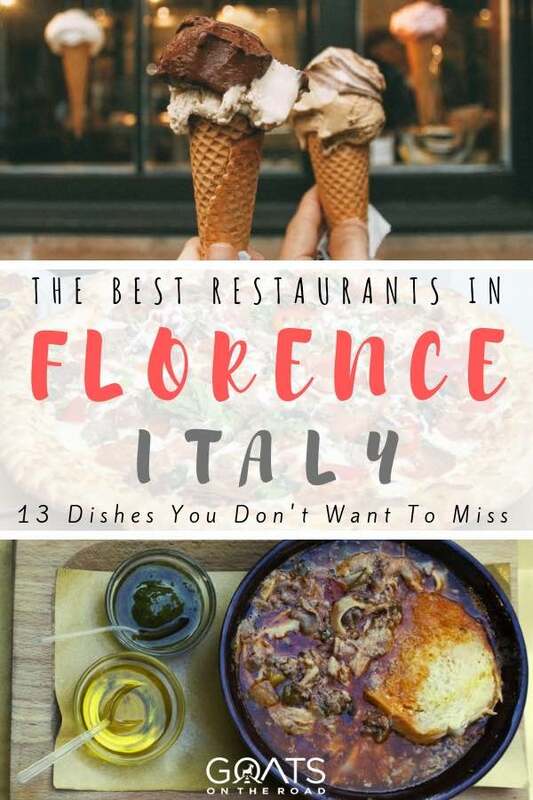 When travelling Italy it’s incredibly tempting to base your daily nutrition on gelato and pizza, but by doing that you would miss out on these 13 best restaurants in Florence. Because there is an endless choice of really good eats in Florence, my selection will be based on the best package-value (food, service, ambience) for money combination, and broken down by time of day. 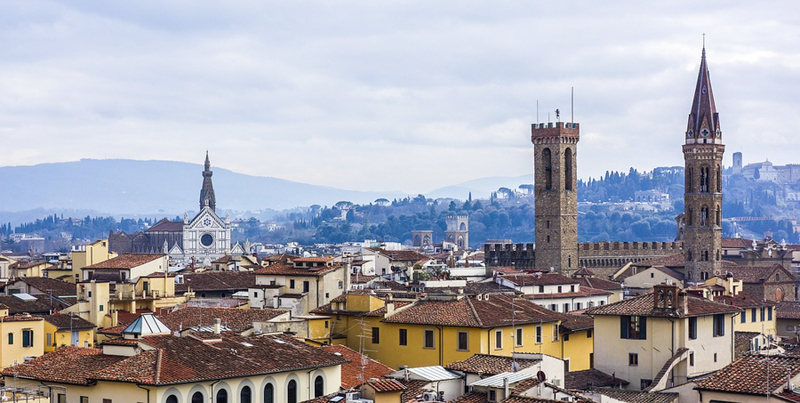 Wondering what to do in Florence? Eat at one of the best restaurants! Note: After eating all of the amazing foods in Italy, you’re probably going to want to walk off those calories! There are guided walking tours you can take, or, create your own self-guided walking tour of Florence. I visited this little coffee shop on the Piazza di Santa Maria Novella every morning when I stayed in Florence and enjoyed watching people come and go while dipping my croissant into my cappuccino. 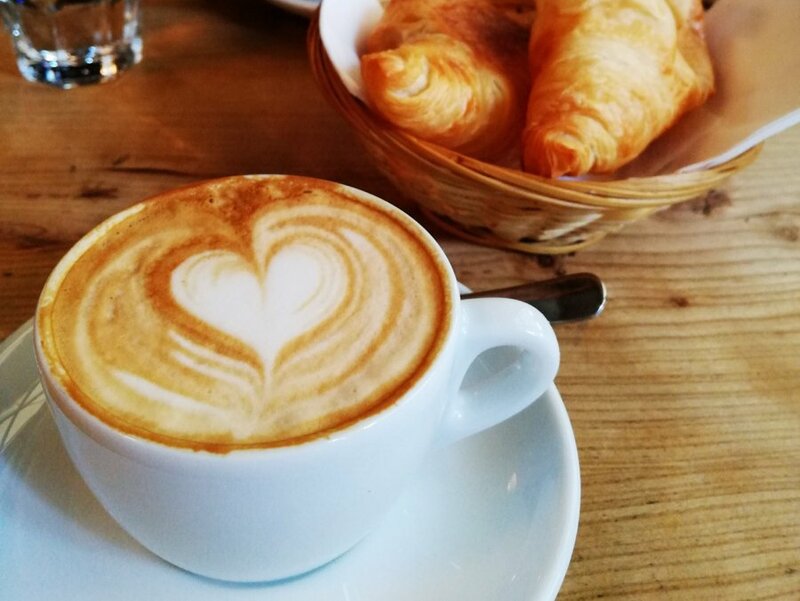 Just as amazing as the coffee and the location of this busy Italian café, are the prices: €2 ($2.40) will pay for your breakfast if you like a decent coffee and fresh croissant in the morning. Apart from coffee, the place also offers tasty sandwiches and fresh juices for about €3 ($3.50) to take away or to have on their little terrace overlooking the open space in front of the Santa Maria Church. Coffee snobs will fancy this place for its award winning baristas and excellent coffee roasts which are being shipped internationally and can be purchased prepackaged for €6-16 ($7-19). 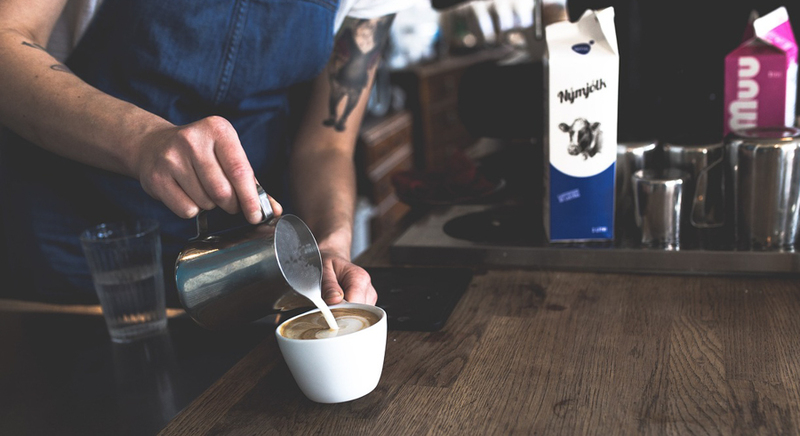 Real coffee enthusiasts can take part in one of their barista courses and learn how to ‘pimp’ their cappuccino like a real professional. For those who are in for something substantial in the mornings, there are also pancakes and maple syrup, or scrambled eggs and bacon from €5 ($6). Later in the day the café also serves warm and cold lunch snacks like soups and baguette-sandwiches for €6 ($7) and salads for €8 ($9.50). 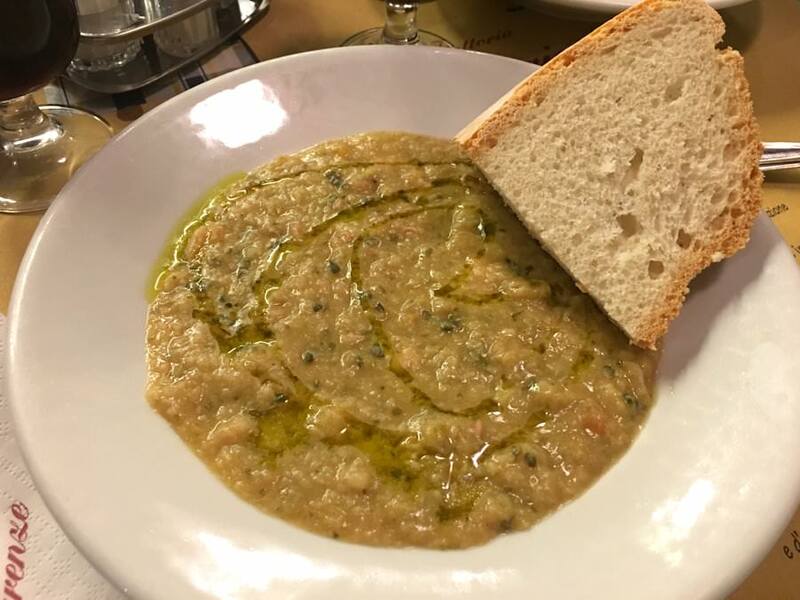 A mix of hip and chic, the Ditta Artigianale is one of the best restaurants in Florence to spend a rainy morning chatting, reading, or working surrounded by the smell of coffee aromas. Locals and tourists agree that All’ Antico Vinaio has probably “the best panini” in the whole of Florence and people especially love it for the decent portions and unbeatable value for money. With their popular Italian sandwiches (panini), you can grab a quick but very satisfying lunch for only €5 ($6). All’ Antico Vinaio has a panini for everyone! Situated in the centre of the old town close to the Uffizi Museum, this take-away place is the perfect stop for a hungry Florence explorer. 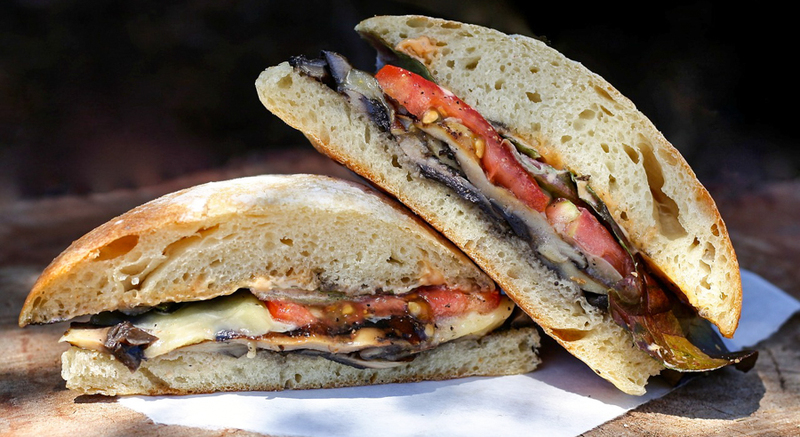 Vegans and vegetarians will be happy to hear that ingredients can be chosen individually – there is a panini for everyone! The Gnam is a rather new fast food restaurant and is inspired by current international food trends such as veganism, sustainable growing, and seasonal cooking. The take-away menu offers a diverse selection of soups for €8 ($9.50) and burgers for €10-12 ($12-14), including meat, fish, vegetarian, and vegan choices. As it is a fast food take-away service, the food might not be as exquisite as in some of the other best restaurants in Florence. 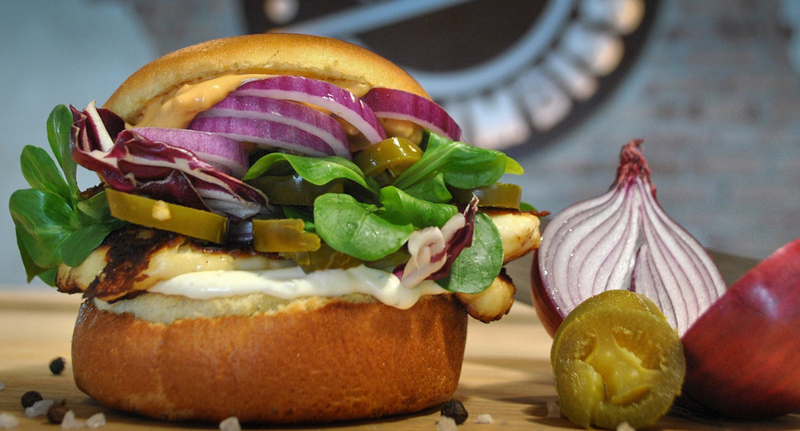 But it is a good option for a quick and tasty lunch, especially for those devoted to a vegan diet who are tired of spending hours looking for a bite to eat. This family run restaurant used to be a grocery store until the current owners Alberto and his mother Giuseppina transformed it into a place where tradition and lovely cooked meals bring people together. All meals are made with local Tuscan ingredients and according to memory based recipes of the family. 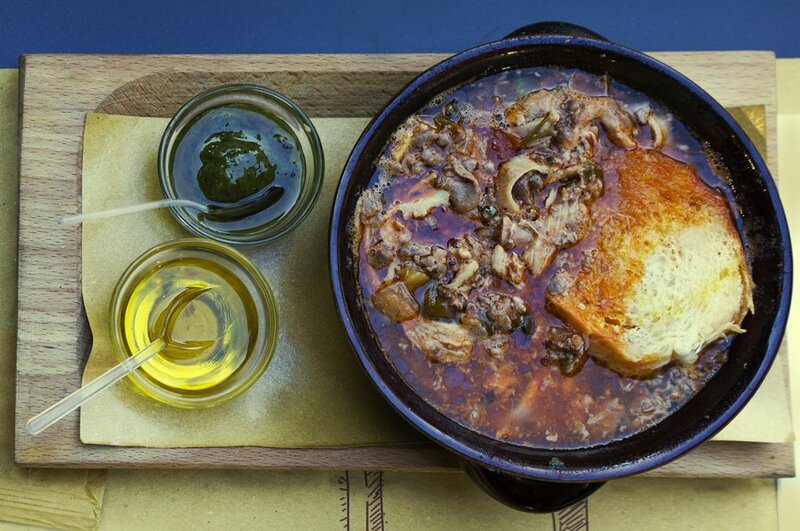 Zeb stands for their most popular and traditional Tuscan dish, a delicious soup with soft-boiled meat. Their selection of local wines is also impressive and you can’t go wrong when asking the owners for a recommendation. Prices for a main meal like the superb Taglierini with fresh Black Truffles range between €15-20 ($18-23). 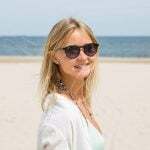 ☞ Planning to travel to other parts of Italy after Florence? If you’re traveling to Rome, make sure you check out our where to stay in Rome article for the best neighbourhoods and accommodation. And, have a look at our travel guide to Rome as well! To escape the heat of the day, dinner usually takes place late in all Mediterranean countries and some restaurants open no earlier than 9pm. Coming from any other part of the world, these late eating hours can seriously challenge your stomach, especially after a long day of walking and sightseeing. Fortunately for those who are struggling, there is Aperitivo-Hour! Kitsch is an absolute gem for budget travellers and probably the most authentic Italian aperitif experience you can get in Florence. Between 6.30-9.00pm €10 ($12) will get you one drink of your choice (including cocktails, wine, and beer) and access to a buffet filled with a flood of Italian snacks, every single one home-made and delicious. 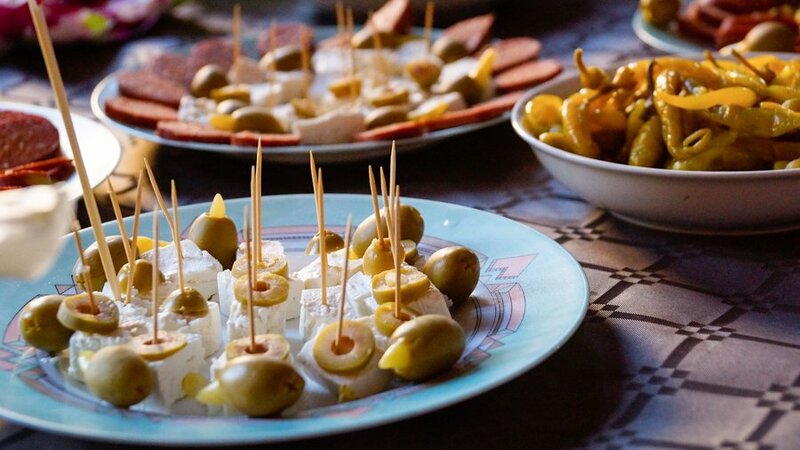 Enjoy Free Food with your aperitif at the Kitsch Bar. For warm summer evenings there is outdoor seating, which is wonderful if you can find a free seat. I went back to Kitsch twice during my stay in Florence, simply because there is no better place for tasting some amazing antipasti, Italian cheese and meats, olives, fresh veggies and fish dishes, all with your drink of choice and for such a good price. This high-end restaurant is one of the more expensive places in Florence, but the views from their roof top terrace are worth every penny. Looking out over the renaissance city and gorgeous river (while enjoying an Italian aperitivo) will make you travel back in time. From this view point, it is easy to picture some members of the influential Medici family proudly overlooking the beauty of their countryside. Every day between 7pm and 9pm the restaurant serves spectacular cocktail creations and also classic Italian aperitifs like Aperol Spritz for €15 ($18) along with a breathtaking panoramic view and some light snacks. During this time, reservations cannot be made, so you can join this seemingly exclusive circle whenever you are ready! The best restaurants in Florence for dinner typically serve classic Italian cuisine. This is based on homemade variations of pasta and pizza but also includes some delicious steak and fish dishes as well. As the name gives away, Pizza Napoli is one of the older, more rustic pizzerias with a long tradition in Florence. Some visitors would avoid it due to its popularity among tourist, but the food is excellent and the staff friendly and patient with international (non Italian-speaking) visitors. 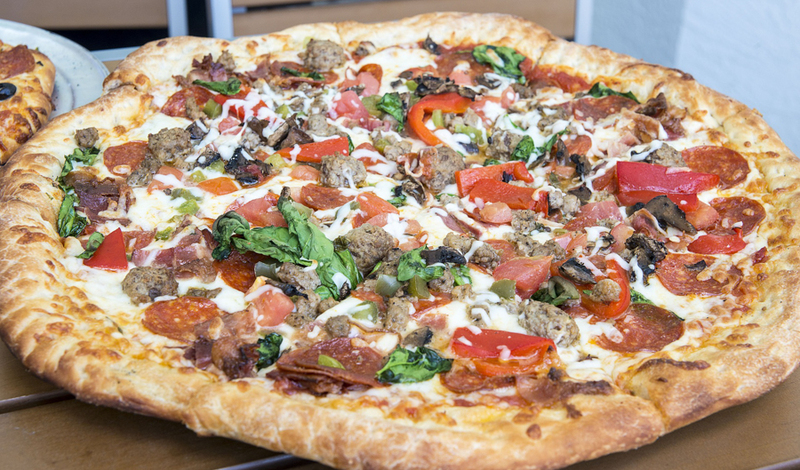 Eat authentic Italian pizza in Florence. The restaurant serves authentic Neapolitan Pizza for under €10 ($12), perfectly oven baked with a thick and crunchy crust. Also very recommendable are the gorgonzola ravioli and the creamy Italian tiramisu for those who stay for dessert. Within walking distance of the main train station and next to the market, this restaurant is often crowded with people, locals and tourists alike. However, their delicious pasta dishes, like the ravioli fettuccine with truffles and gnocchi with Gorgonzola cheese, are definitely worth the sometimes long wait for a table. 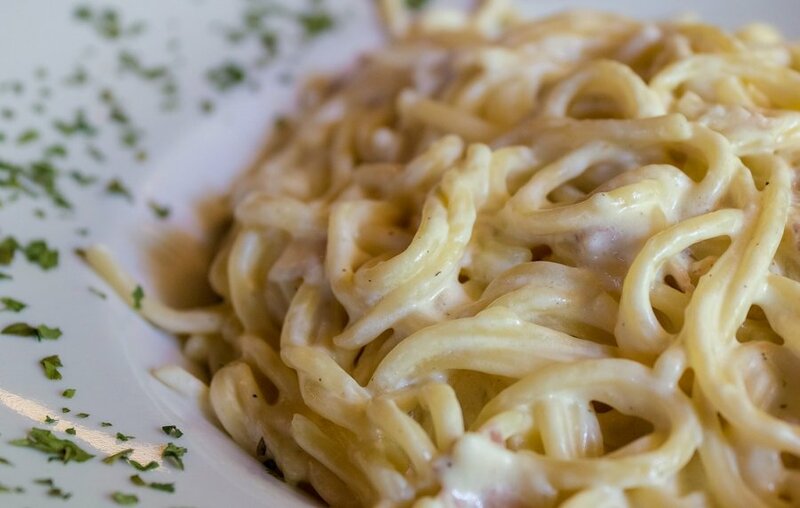 Enjoy delicious pasta dishes in good company. Once you have gained a seat, you will be dining in good company, with most people chatting and laughing while enjoying their classic Italian meals. The bill for a three course menu can be expected to be around €25 ($30) per person, single dishes however are priced under €10 ($12) and a bottle of the very recommendable house wine will only cost €18 ($21). This contemporary restaurant offers their guests a “touch of creative and traditional cuisine” and belongs to the higher end of the best restaurants in Florence for quality, as well as in price. Especially popular is their 5 course tasting menu for €40 per person (drinks excluded) that includes exquisite homemade stuffed ravioli, chicken liver pâte with sesame seeds and the best Italian panna cotta I have ever tasted. Though a bit pricey, this gourmet experience is more than just a “touch” of authentic Italian cuisine and well worth the money. A touch of creative and traditional cuisine – Touch Florence. 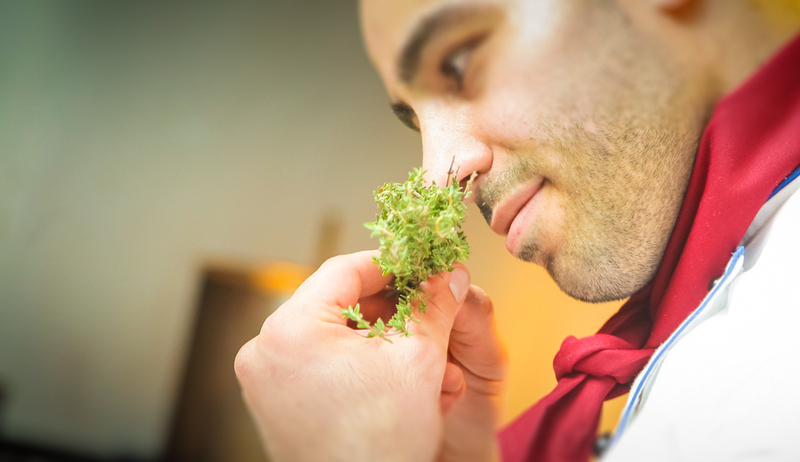 The passionate team of young, energetic Italian chefs are dedicated to their traditional cooking, that combines fresh Tuscan ingredients, the simplicity of intense natural flavors and finally a creative “touch” to round up their perfect dishes. Situated in the romantic countryside of the Tuscan hills, Florence is home to the popular grape of Chianti wines, which is enjoyed by wine lovers all around the world. The Le Volpi e L’Uva wine bar is situated off the beaten track on the other side of the river and offers their guests a comprehensive introduction to Tuscan Wines. Taste some local Chianti Wines. 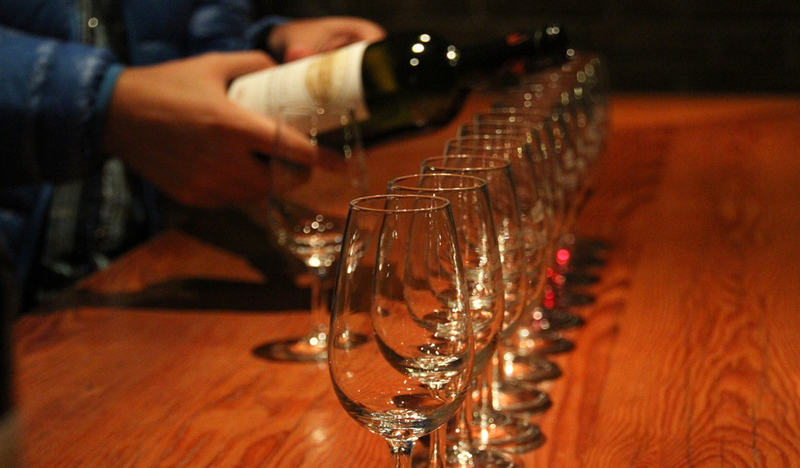 You can stay for a glass between €4-5 ($5-6) or book a fully guided wine tasting that includes 4 half-glasses with a selection of cheeses and cured meats for €25 ($29.50) per person. Reservations can be made between 11am and 7pm (+39 055 2398132) and the staff speaks several languages, English naturally being one of them. Did you know there is an unspoken rule for those who travel Italy? 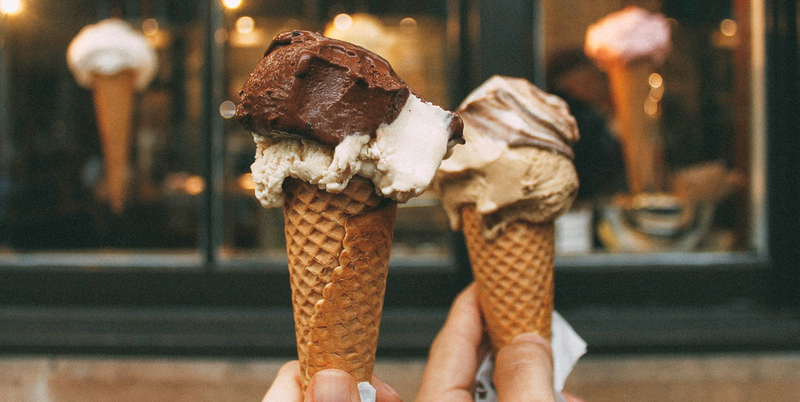 It basically says you have to have at least one gelato every day. Now that you know the rule, there is no excuse not to stop by at least one of these two places. I stumbled over this hidden ice cream gem after a long day of walking through the old town and eventually coming across the second oldest bridge of Florence, la Ponte alla Carraia. The ice cream god must have led my steps that day, because a creamy mountain of cold, sweet deliciousness was exactly what I needed in that moment. The Gelateria has home made gelato in all flavors, from fruity mango to the flavor-intense pistachio with real nuts in it. The Delizia Carraia flavor is a special creation of this place and consists of a soft tiramisu base with white chocolate chunks, topped with liquid pistachio sauce. Ice cream heaven! You can get a very decent portion of ice cream (and calories) for €2.50 ($3) or a small taster cone for €1 ($1.20) that only comes with one flavor to choose. I know it is really not fair that Italians not only make the best pizza, but have also been creating some of the best ice creams – Italian gelato – for decades. 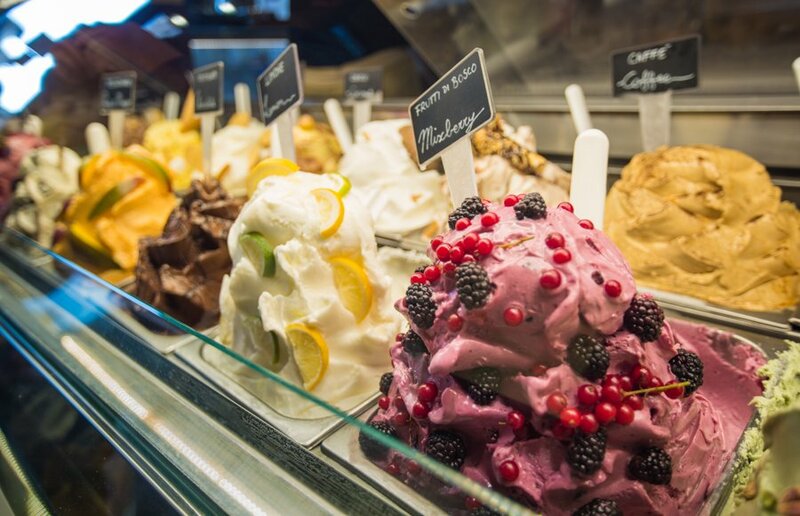 Vivoli, the oldest gelateria in the city opened as early as 1929, so make sure you get to taste some of that historic gelato while in Florence! Popular amongst tourists for a reason, Vivoli offers traditional flavors next to a vast variety of intense and exotic flavors like Fantasia or Rice Flavor (unexpected and delicious, with little pieces of rice in it!). A cup of three flavors is €2.50 ($3) which allows you to try at least one of their more unusual creations. Should you still be able to eat more sweets after that, the old café also has good coffee, cakes, and pastries. 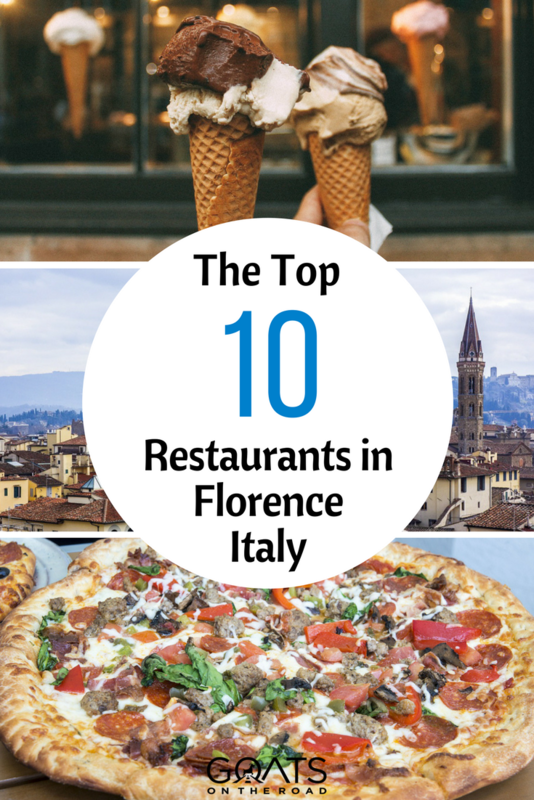 Of course this is just a personal selection of the top 13 best restaurants in Florence, Italy. There are at least 10 more gelaterias, restaurants, and cafés that I would have recommended, but as a passionate traveller I would like to encourage you to go out exploring yourself. You will be surprised how many hidden gems are still waiting to be discovered! All of these places look so amazing! 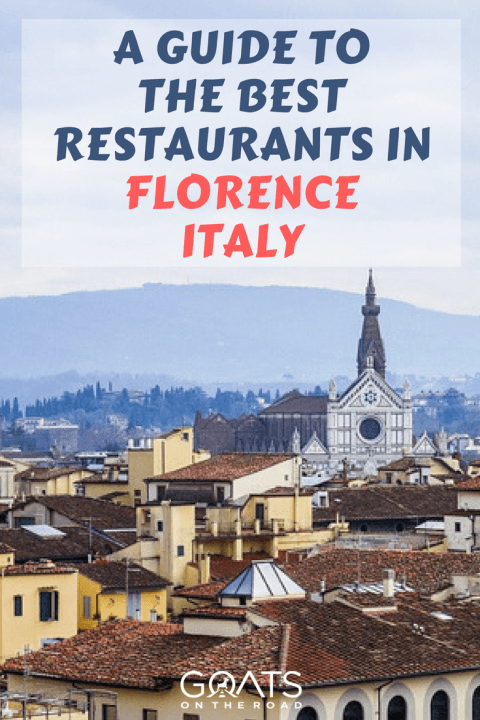 We absolutely love Florence and had some of the best food ever there. I have to recommend Osteria del Cinghiale Bianco for a nice, multi-course dinner. Also, takeaway pizza from Gusta was awesome on a night when we just wanted to take it easy! I would taste all the items that are in the pictures above, thanks for sharing this delicious post. I can’t able to stop water that is automatically coming in my mouth.